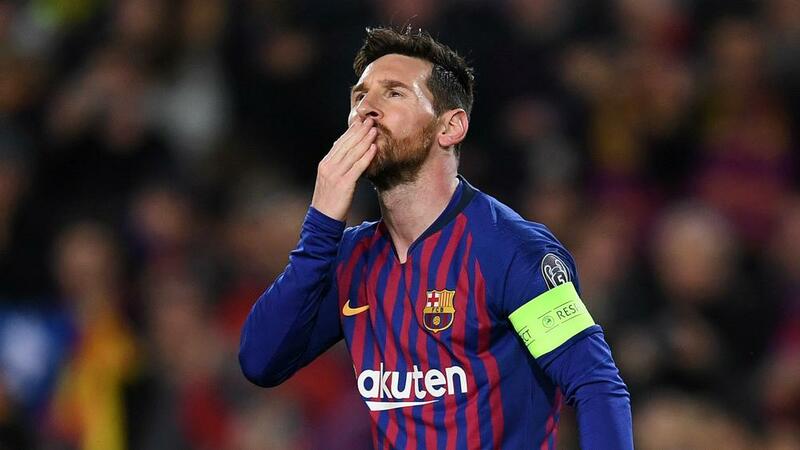 Lionel Messi got two goals and two assists as Barcelona hammered Lyon 5-1, and Gerard Pique applauded the team's talisman. Gerard Pique lauded Lionel Messi after his spellbinding performance in Barcelona's 5-1 Champions League win over Lyon, saying he gives them "another level". After drawing 0-0 away to Lyon last month, there was a hint of uncertainty about Barca's position heading into the return leg, particularly when Lucas Tousart pulled one back on Wednesday to make it 2-1. At that stage another goal would have sent Lyon through on away goals, but Barca – or more specifically Messi – stepped things up in the final 12 minutes. The Argentina star scored one to add to his first-half penalty, before setting up Pique and Ousmane Dembele to wrap up what ultimately proved to be a comfortable win. Barca head into the last eight as one of the favourites, with Messi's presence giving them an extra level few clubs can reach. "The big stars add up to a lot," said Pique. "Behind them they have to have great teams to help them, because it is historically proven that a player cannot win big competitions [alone]. "But, obviously, having players like Messi in the team makes you have another level. "When you have doubts, as has been the case [against Lyon], they appear and give you the peace of mind necessary to progress."